EASTHAMPTON—Dan Carey will be the odd man out among Hampshire County’s legislative elections for several reasons. Not the least of which is he was the only candidate in the region to have a general election. But in the indigo-blue 2nd Hampshire House district, Carey, an Easthampton city councilor, prevailed easily. He nuked perennial candidate Donald Peltier after a contentious primary. The seat was open after John Scibak retired, but the race comes amid broader churn here and across the region. 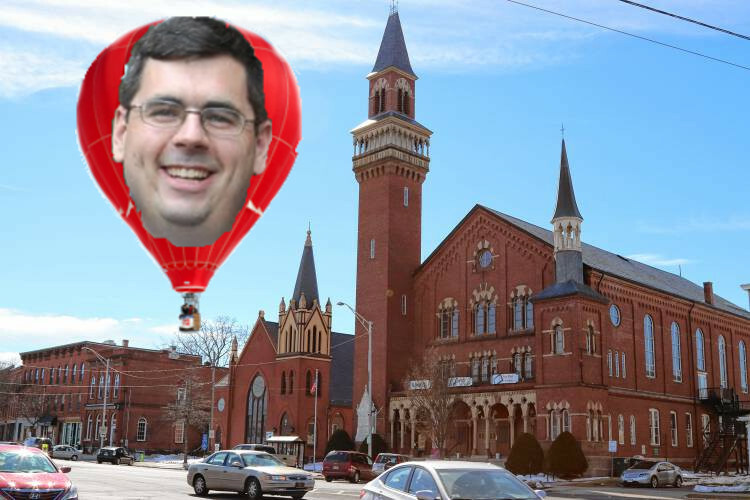 Carey’s State House ascent continues a meteoric rise. 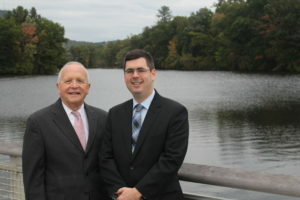 In only a few years he has gone from School Committee to Town Council and now to the rep seat his grandfather once held. Continuing a tradition of solid service from the elder Carey to Scibak was a motivation for running. The 2nd Hampshire House seat includes Easthampton, Hadley, South Hadley and the northern half of Granby. Carey bested former South Hadley’s John Hines and Granby’s Marie McCourt in the September 4 primary. All had prominent backers, but Carey enjoyed the support from several regional officials including his boss, Northwest District Attorney David Sullivan. Carey consolidated much of Easthampton despite changes afoot here. Newcomers have moved into town in increasing numbers, reviving down and old mills. But longtime residents also feel squeezed. 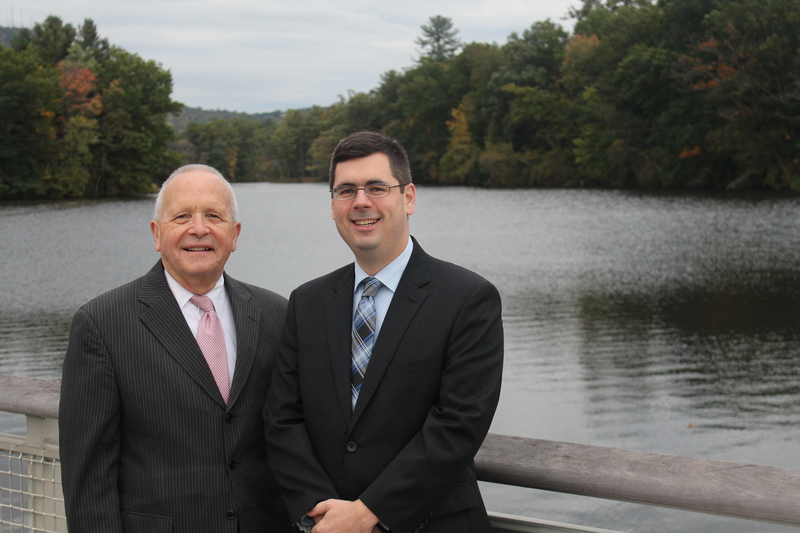 Last month at Mill 180 Park, Carey, 33, spoke to WMassP&I about his family, his political and legal careers, and general trajectory in life. Bespectacled and wearing a winter sweater, he was mindful of his seat’s history and appreciative of Scibak’s willingness to assist with transition. Public service is nothing new to the Careys. The rep-elect’s father served as a judge and his grandfather, William, was a rep in the 70s and 80’s. While campaigning this year, Carey said voters fondly recalled his grandfather, who died when Dan was a teenager. “It’s made me really appreciate throughout my life how important these positions are,” Carey said. 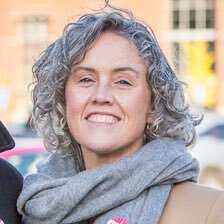 In a post-Goldstein-Rose world, Carey will be the 413’s youngest state rep. Like many younger folks, Carey’s path has been somewhat circuitous. After college at Emmanuel in Boston, he worked as a school paraprofessional, thinking he may become an English teacher. He continued gigs in the food service industry including managing a restaurant. Eventually, he turned toward the law, working as an administrator for Sullivan and taking night classes as Western New England Law. When Sullivan started a drug diversion program, Carey became its director. The program mirrored one Essex County had and continues today, though Carey, now an assistant DA, no longer runs it. He paused and in a somber tone acknowledged he had a personal interest in the issue. Although it will take time to fully evaluate the program—the best metric, he said, is the recidivism rate, which plays out over time—he hopes to work on opiates in the legislature. When Sullivan endorsed Carey, he pointed to the latter’s work on the diversion program. “In the fight against the opioid epidemic harming our communities, it would be invaluable to have someone of Dan Carey’s knowledge and experience in combating this scourge, serving in the Massachusetts Legislature,” the DA said in a release Carey issued. Sullivan, a former Easthampton Town Counsel, was among several local figures, including Zaret, former mayor Karen Cadieux, and former Rep Nancy Flavin, that rallied around Carey. Unlike others, Zaret did not know Carey before the joining the Council. However, they developed a working relationship quickly. “Dan reached out to me early on,” Zaret said. Carey’s background on various municipal boards was a big selling point for Zaret. Easthampton was not unanimous, however. Last year a fractious open mayoral contest ended with attorney and political activist Nicole LaChappelle prevailing over town councilor Joy Winnie. Carey had backed his colleague Winnie in a race that clove along the lines of newcomers and multi-generational residents. Many new residents have sought refuge from Northampton’s higher prices. Though not as fraught as the fabled New/Old Holyoke strife on the other side of Mt. Tom, it has upped the tension in town. “Are there any hard feelings in town? Yes,” Carey said, noting a similar dynamic has been playing out in Hadley. However, the local politics have not overcome him. He said he and LaChapelle have worked well together over the last year. In an interview, she said two major events—the election last year and the school building bond override this year—represented large shifts in Easthampton. 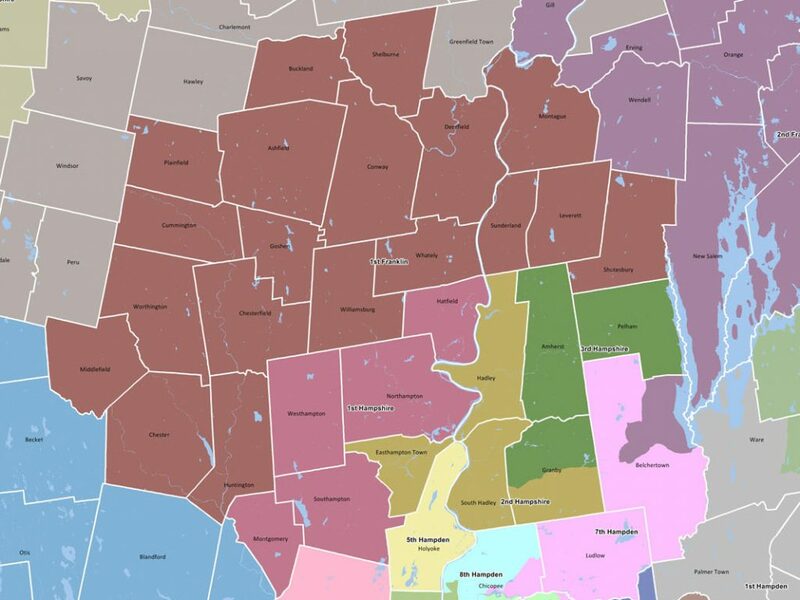 Carey, she indicated, could connect across Easthampton’s factions. She publicly stayed out of the rep race—and other primary races this year. 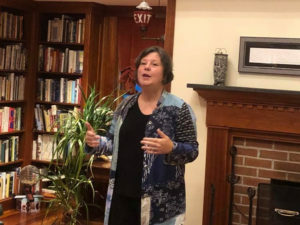 But she looked forward to an Easthampton resident holding the seat, even as she was confident Carey could balance the 2nd Hampshire’s interests well. Carey has “ears open to all sides of an issue,” she said. “His opinion may be well defined, but it’s where you find joint agreement” that matters, LaChapelle said. That was one of Carey’s strengths, she indicated. A municipal mindset that transcends all four towns may come in handy, too. Given his own experience working in a classroom, on the school building bond and the School Committee generally—and in the courtroom—Carey has education on the brain, too. “Anything we can do to improve graduation rates is huge and important and sets students up for success,” he said, noting many defendants have histories of poor education. Education costs were a constant refrain Hampshire County-area candidates. Carey was no different. 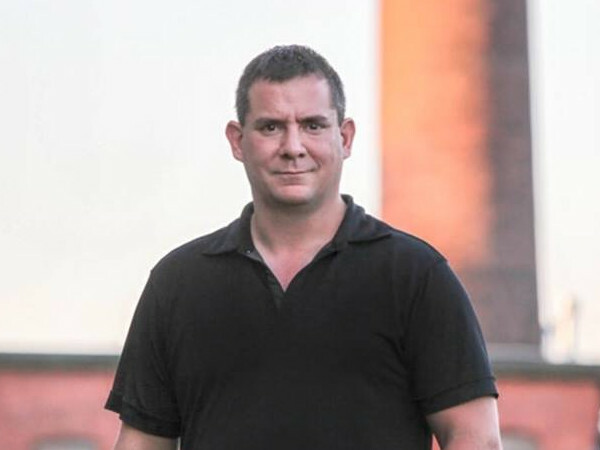 To a certain extent, Carey has faced criticism as the least progressive candidate in the race who benefited from an Easthampton consolidation. It’s an accusation that rests on a matter of degrees, especially in one Massachusetts’s most liberal regions. Alternatively, Carey was the only sitting officeholder to win in Hampshire County this year. There are plenty of nuts and bolts issues on voters’ minds here, too. Senator-elect Jo Comerford, whose district overlaps with Carey’s in Hadley and South Hadley, emphasized big policy goals on the trail. Yet, she also touted basics like education and open space. “We need full funding of our public schools. Immediately. We can’t wait,” she said when asked what municipal concerns top her list. Since the primary, but especially since he formally won election, Carey has been preparing for inauguration. He will resign from the Town Council late next month and is leaving the DA’s office after Thanksgiving. His December is packed with meetings with House leadership and soon-to-be colleagues from across the commonwealth. Along with his newly-elected colleagues in neighboring districts, Carey will be representing a region with less clout than before amid retirements, death and resignations. But area freshmen legislators are optimistic. LaChappelle observed Carey and other new reps overcame strong opponents in their primaries. Those races will make them better reps.
“I’m encouraged that who was elected are a strong cohort,” she said. Reflective of the national wave, it is primarily a cohort of women. But for Paul Mark, a Peru Democrat whose district threads into Greenfield, Carey will be the only male Pioneer Valley legislator north of the Tofu Curtain. When asked about this, Carey, easygoing as always, wasn’t worried about being out of place.